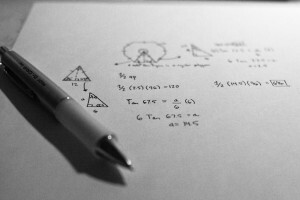 It may come as no surprise to learn that many students aren't fond of math. In fact, many students would prefer to never have to take a math class ever again. If your child is having issues staying alert during their math lessons or just can't concentrate on a math assignment for very long, these tips can help them develop a better relationship with the subject. When students are bored with a subject it may help to present them with a fun challenge related to it. An engaging challenge that forces them out of their routine can make learning the subject fun. A great way to challenge your child is a fun scavenger hunt. However, in order for them to get the next clue, they have to solve a math problem. They may even be excited to complete the problems as they go. Incorporating your child's likes into their lessons can make them a lot easier to complete. If your child is fond of playing on their tablet, download some fun math games they can play while running errands with you. If they love sports, use recent sports games as examples when helping them complete some math work. Although it may seem like something small, it can definitely help your child concentrate on their work much more effectively. Doing something you don't want to do takes some work, so be sure to recognize your child's commitment to improving. Offer praise and recognition instead of focusing on the bad. Positive reinforcement can help them feel more at ease when completing assignments and can encourage them to ask for help instead of trying to hide their struggles. If your child is struggling with math, tutoring in Sugar Hill can be part of the solution. The Tutoring Center, Sugar Hill GA offers various academic programs focused on a number of subjects, including math. To learn more about these, give them a call at (678) 926-9475.